“Eleven-thousand paratroopers have gone to Afghanistan on nine-month tours. Four of them were killed or critically injured and one of them was my son. What are the odds of that? And yet, another quarter of an inch and his spinal cord would have been completely severed and he never would have walked again. If the explosion had not launched him in a ditch that lined the road, a seven-ton truck would have rolled over on him and there would have been no Victor at all. “A doctor at his rehab center told me that from the degree of the displacement he saw in the X-ray taken right after it happened, it was 1,000-to-one that the Army surgeon who did the emergency work in Bagram could get it as straight as he did. It was a good fit, Victor Prato achieving a degree from a University with a motto that includes “In the nation’s service.” Long before Princeton ROTC, and backup duty on the Tiger defensive line, Prato ‘15 had a craving to be of assistance that ran as deep within him as his desire to excel. “He always went out of his way for people—kids in the family, high school teammates and people, especially old people,” said his father. “Victor was a junior volunteer fireman, and was very committed to that. Victor Sr. did two tours in the Army, including three years with the 14th Infantry Regiment protecting the Panama Canal, and then in 1942 was drafted into the war in the Pacific, spending two years protecting the Aleutian Islands. He had five brothers in the armed forces, plus a son who wanted to enlist for Vietnam and now regrets not doing so over his father’s opposition. Victor Sr. did not want Greg to go to a war that three American presidents wouldn’t expand to let the Army decisively win. Edward Birdie, the father of Victor’s mother Janet, served the Navy in landing craft infantry during the battle on Leyte Gulf in The Philippines, a crucial victory that deprived the Japanese war machine of oil. Grandpa Victor was more for talking about his service than Grandpa Ed. But growing up in Somers, N.Y. in upper Westchester County, young Victor was all ears and all eyes on cable history channels. “Cool World War II documentaries,” remembers Victor. “Mom would say, ‘I know who won’ but I would watch with Dad, sometimes with my grandpa. “I played a lot of war video games from which I learned more about military campaigns than we did in history class, where they kind of glossed over them. My peers didn’t even know whom we fought against in WWII. But I wanted to learn more. “It wasn’t just military stuff, though. Later, in the Civil War class I took at Princeton, we were reading Lincoln’s private letters, his papers, and the actual documents of (Confederate) succession, which were really eye opening for me. “Thanks to Dad and my grandparents, I was always patriotic. But as I grew up, I learned more and more about what this country stood for, not as much in pop culture but the ideals espoused in the Constitution and the Declaration of Independence. I believe in what we stand for. I felt it was important to give back. And one of the ways of doing that was to serve in the military. But how best to do it, when straight A’s in high school gave him the best of college options and an opportunity to continue with football? “When I was younger, I thought to do one term in the military and get out,” said Prato. “Maybe do four years and then go to college, but if I wanted to play football that probably wouldn’t work out, although there were people who had done that. 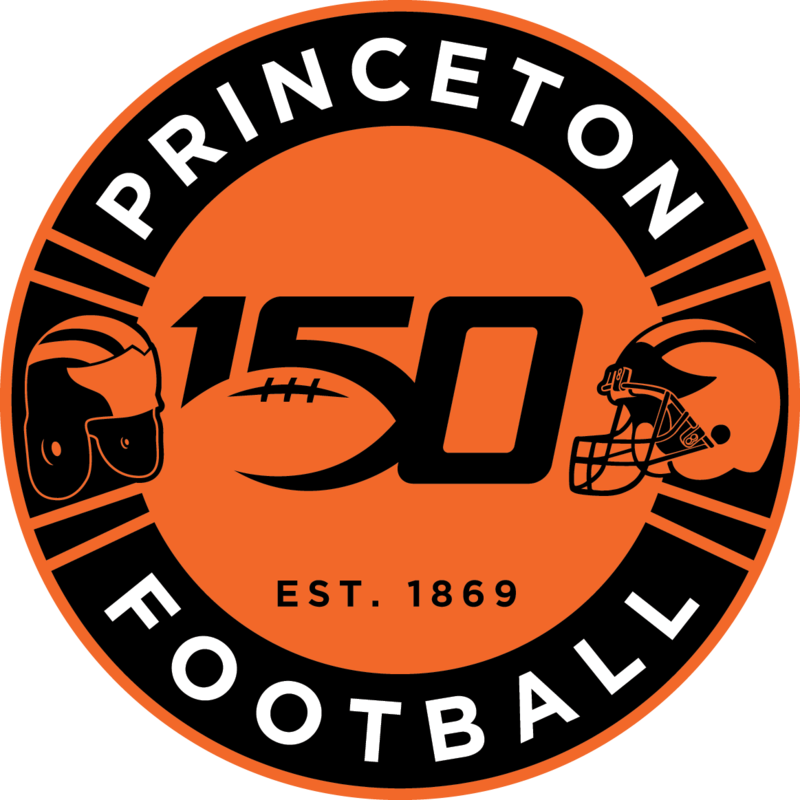 “Then I learned that Princeton had one of the first Army ROTC programs in the country. If I did that, when I got out I would be an officer making decisions that wouldn’t just affect my life but the people under me. I wanted to be a leader, to take care of people and I also wanted to be challenged to excel. “Not to say I didn’t get taught a lot by my parents, high school coaches and teachers, but I identified that I didn’t understand hard work in a way necessary to become successful in the way I wanted. There are a lot of people who go to college to make connections or to have a good time or to find out their meaning. I knew what I wanted to do. If I didn’t make my life really hard by challenging myself, somebody else was going to do it eventually. I wanted it to be people I trusted. Well, perhaps one who also rehabbed a torn meniscus to get back onto the field late in his senior season at Somers High School and who suffered a hairline tibia crack in a Princeton JV game and didn’t play his sophomore season. Prato got behind in football, only adding to his anxiety over spreading himself so thin. That was a hard sell. “I felt the football players were spending more time getting after film and some extra stuff,” recalled Prato. “My fellow students were spending more time studying than I was. “My performance was impacted in all three things. And then there was also a certain amount of (stress) from being a starting football player in high school and getting straight A’s to having nothing come easily in a demanding university. I was fighting through adversity for the first time. “I would get like four hours of sleep a night. I would go to classes, then sleep between them during the day, sleep until practice, then go to practice. At dinner I would usually take like an hour to just sit and talk, usually with the football players, although sometimes I wasn’t very talkative because I was thinking of the night I had ahead of me. “Not so much freshman year, but for three years straight I would pull an all-nighter pretty much every Thursday night and then sleep as much as I could on weekends. It’s not like that comes without consequences. A lot of guys at West Point and in the army have a (similar) cycle and then have sleep problems after they get out. “Hobbies fell away: I didn’t have time to practice guitar or play video games to reduce stress. I kept thinking about what I would quit if I had to quit something. I absolutely felt an obligation to the football program because I bonded with those guys. Football had sponsored my application packet. And I had a scholarship from ROTC for three of the four years that was based on pursuing a degree in mechanical and aerospace engineering. So there wasn’t one thing I could drop because they were all parts of who I was. That would not likely have been possible without the cooperation between Lieutenant Colonel Kevin McKiernan, who runs the Princeton Army ROTC program, and Surace, who were honest with each other about what Prato could afford to miss when there were scheduling conflicts. Junior year, when Prato’s place on the depth chart was week-to-week to make the bus to the away games, he had to miss the Dartmouth game to be in Fort Bragg (N.C) for an ROTC leadership development test. A season later, when Prato had worked himself into the defensive line rotation and Surace vouched for the cadet’s importance in winning games, McKiernan conceded some ROTC events Victor could miss. Defensive Coordinator Steve Verbit, also Prato’s position coach, remembers coming to work at 6:30 a.m. and seeing him running in army gear with his ROTC buddies on the track. Then, he would be running gassers in football practice late in the afternoons. “With all that ROTC running too, he still was the guy in the best shape,” recalls Verbit. Others were more athletic pass rushers, but by senior year, Prato was good for 20 snaps a contest of being stout at the point of attack. “I had an unbelievable amount of respect for him,” said Verbit. “Despite all the demands on him, he was one of the great weight room guys in the program and worked his tail off on the field at the end of what, for him, were especially long days. As the Tigers ran low on bodies during an injury-marred 5-5 attempt in 2014 to repeat as champions, Prato was happy to get enlisted man’s work against 300 pound offensive linemen. Upon graduation, he was commissioned as a Second Lieutenant assigned to the 82nd Airborne Division. He reported to Fort Leonard Wood, Missouri for engineer training in explosives, bridge building, and route clearance, then it was on to Fort Benning, Georgia for paratrooper jump school, Prato did some Ranger training, got promoted to First Lieutenant, and was deployed as a staff officer in the 127th Engineer Battalion of the First Combat Team of the 82nd to Kandahar Air Base in Afghanistan. In November 2017 he was named leader of the Third Platoon, Alpha Company and on Nov. 13 was on his first command mission. It was to lead 25 combat engineers to secure a road for infantry and engineer platoons about 10 minutes behind Prato’s convoy. “We were the ones who made sure there weren’t bombs buried in the road,” said Prato. “The road surface was raised—I had gotten there in the dry season but I’m told the wet season is so wet, they have to build the roads with deep runoff ditches on both sides. “There was a car coming in the opposite direction. We did what we were supposed to do: Make drivers stop and pull off the side, although not all the way into the ditch or a car might never have gotten back up. So we were really close to this vehicle. “He stopped, was very cooperative. After checking them we are supposed to let them go about their business so were letting him pass. The front vehicle—I was on the passenger side in the third one—saw he had like trash bags in the backup of his truck. But that’s super common; this is a country filled with farmers so you never know what they are going to have in those things, whether it is produce or manure. “Or a homemade explosive. I remember looking into his eyes and he had a dead, expressionless face. It wasn’t like there was anger on it before, with his bumper probably wired, he rammed the driver’s side door.